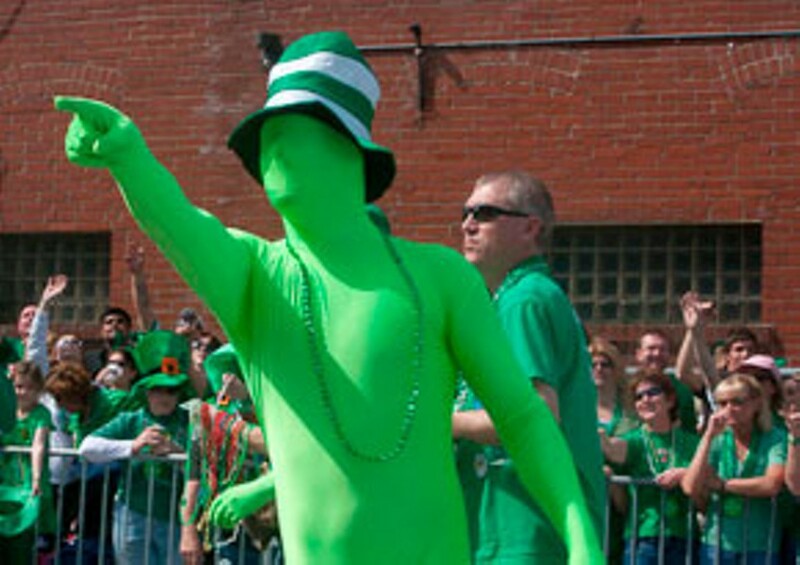 For nearly 30 years the Ancient Order of Hibernians have been parading through Irish neighborhood Dogtown on St. Patrick's Day -- and every year, the revelry seems to increase in crowd size, scope and public drunkenness citations. The parade begins at 12:30 p.m. headed up by the Hibernians' Irish War Pipes, at the intersection of Tamm and Oakland avenues (near Forest Park) and runs down Tamm Avenue, ending at Manchester Road. After the parade, the St. Pat's party continues in Dogtown with live music performed by local bands and plenty of food and drink specials available from neighborhood bars and restaurants. The parade is free to attend, but bring cash for suds and sustenance. And remember -- no coolers are allowed in the neighborhood on St. Patrick's Day. For more information call 314-504-2925 or visit www.stlhibernians.com. Night & Day Highlights Dogtown St. Patrick's Day Ancient Order of Hibernians Forest Park 1200 Tamm Ave.